Big Adventure Cinema describe themselves as “a group of film fans on a journey to build a new community cinema for all Liverpudlians,” and on the whole, a group with ‘community’ at its heart. They will be hosting pop up events around Liverpool, bringing the magic of cinema, like you have probably not experienced before, to the city. At the celebration of their launch on Friday, the sense of community was certainly strong. 81 Renshaw Street played host to the evening, where their event space was transformed into a cinema that soon became totally packed, as people poured in to see the double bill special. This marked the first of 6 screenings which will be funded by the British Film Institute. 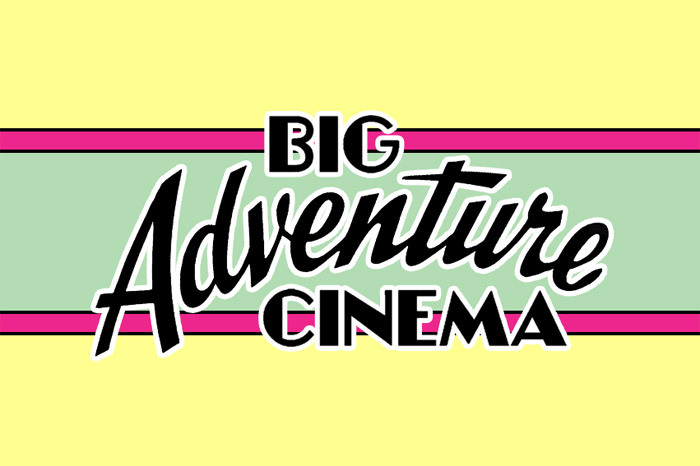 Big Adventure cinema will be resident at 81 Renshaw St for the next 6 weeks, and will then move on to other venues, to be announced. Celebrating their launch, the audience enjoyed a double bill screening of two amazing films, that may have seemed very niche, at first: a short history of the Berlin wall from the intriguing point of view of the rabbits that live alongside it, and the journey of cinema in India as told by the Special Jury Prize winner at Cannes Film Festival 2016, ‘Cinema Travellers.’ Both films proved a phenomenal success and were received by an engaged audience who were keen to ask questions and discuss the films. The first began with incredible vintage footage of 1930s Berlin, of people communicating across the wall. It depicts the war and the unrest that followed in a childlike, innocent way, that while maintaining integrity, clearly demonstrates an allegory of power and consequence. Of course the rabbits are adorable, but what they stand for resonates chillingly with the plight of the divided people of Germany, and in the wider sense, all of Europe. They are completely encircled by the wall, trapped within their meadow. They are perfectly safe, but perfectly inconsequential. Perhaps for this reason, in a curiosity that may seen distinctly human, they still crave the outside, despite their apparent Eden. It was the second film’s Liverpool debut, having only been screened a handful of times in the UK after its success at Cannes. It follows the journey of a projectionist, travelling around India with a roaming carnival, screening movies and trying to keep up with changing technologies. It is “a wistful look at the last cinemas in India as the advent of digital technology takes over from traditional 35mm film,” as described by Big Adventure Cinema. The film is colourful, light hearted, beautifully crafted in a way that mixes cinematic narrative and documentary style journalism. It shows the bewilderment amusement and outright amazement of some of the poorest communities in rural India, as they see the moving image, maybe for the first time, maybe for the thousandth; nevertheless, what comes through is the loving reverence each trip to the cinema is treated with, the joy that it brings to these lives, and what a blessing this luxury is considered to be. This movie certainly makes us question our western of doing things, and suddenly makes much of modern day entertainment feel distinctly sterile. In many ways, this film embodies the exact essence of what Big Adventure Cinema is trying to achieve: a renewed appreciation in film for what it actually is: art created by a community, for a community. Next Post: MAD on Hope Street!